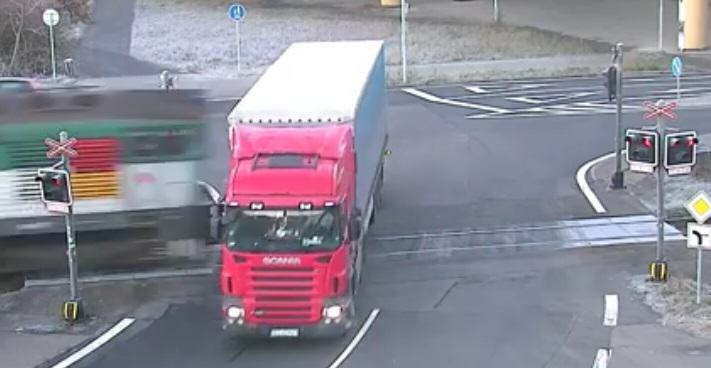 On Friday morning, a truck driver in the Czech Republic had the fright of his life after he drove through a railway crossing, while the train’s red warning lights were flashing. 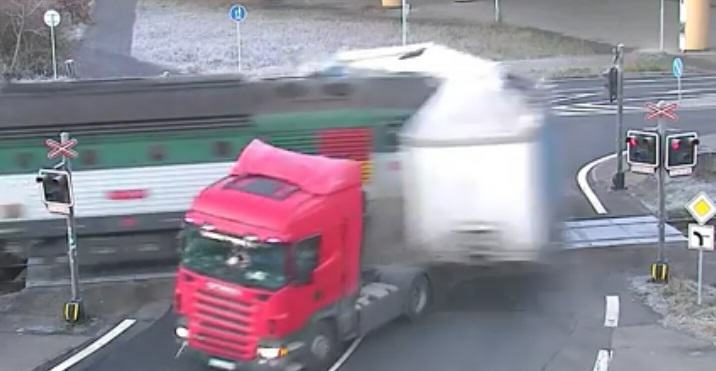 Completely ignoring the traffic signs nearly cost the driver his life, as this remarkable footage shows a passenger train plowing into the truck- splitting it in half. The driver wasn’t only extremely fortunate to escape with his life, they also somehow managed to come out of the dramatic incident without any serious injuries. According to police spokesman, Vlastimil Starzyk, the driver is now being questioned. 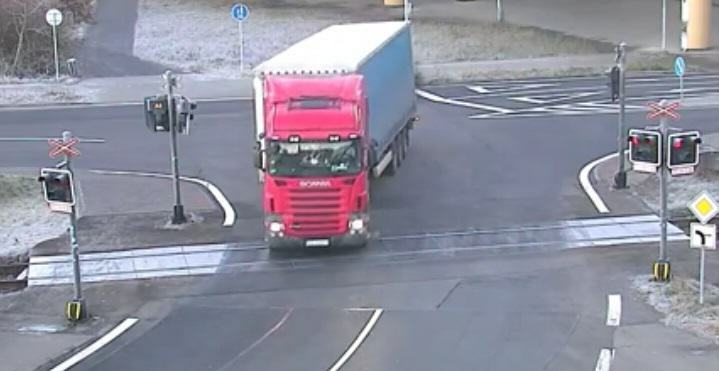 The terrifying video – uploaded by the city’s official Facebook page – shows the driver completely ignoring the train’s red lights at his own peril. 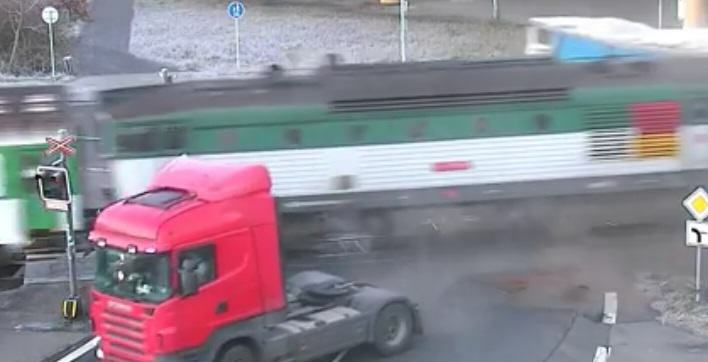 In the clip, the driver is a split-second away from meeting a grisly end as the train plunges into the semi-trailer truck, making it detach from the cab. The Huffington Post reported that there were about 80 passengers on the train heading to the north-eastern city of Ostrava and none of them were injured in the accident. One thing’s for sure, the driver made an incredibly lucky escape.